One of the reasons we love our job is that clients rely on us to create an apparent reality before one exists. 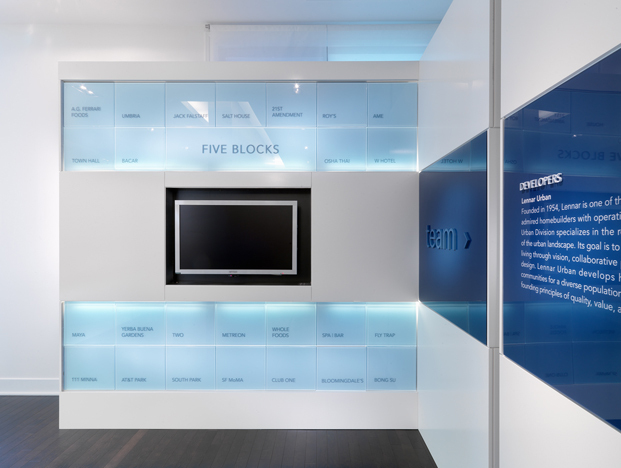 That includes developing a brand experience and a virtual environment before a building is even built. 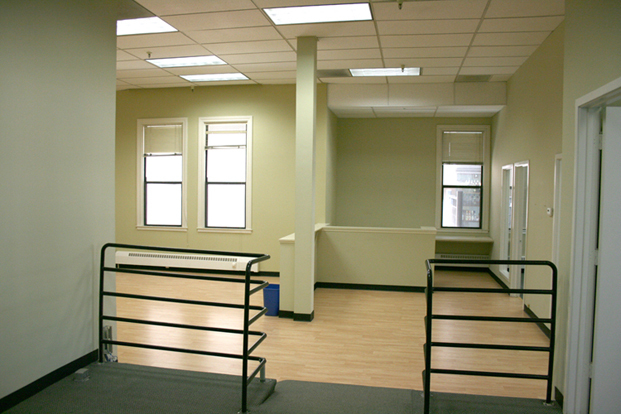 Below are images of the sales center, BEFORE and AFTER our brand experience was developed and the sales center installed. 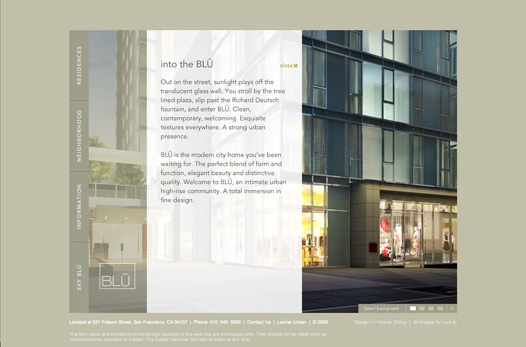 BLU is a boutique condominium development, designed by renowned Handel Architects. 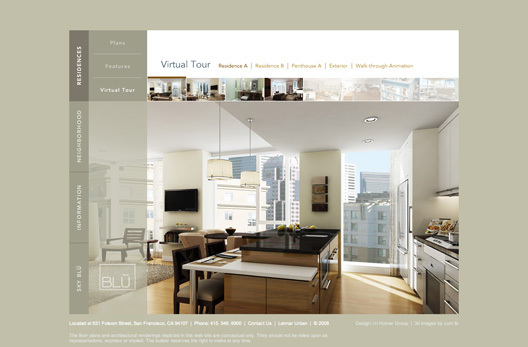 Lennar Urban approached us to help market the project in a highly competitive residential sales market. 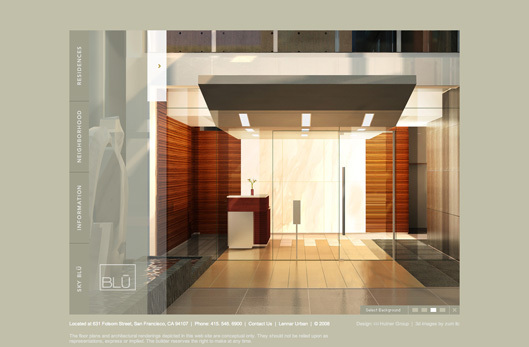 Following a competitive assessment, we determined that the original name of the project, 631 Folsom, should be changed to position the project in a more international environment. 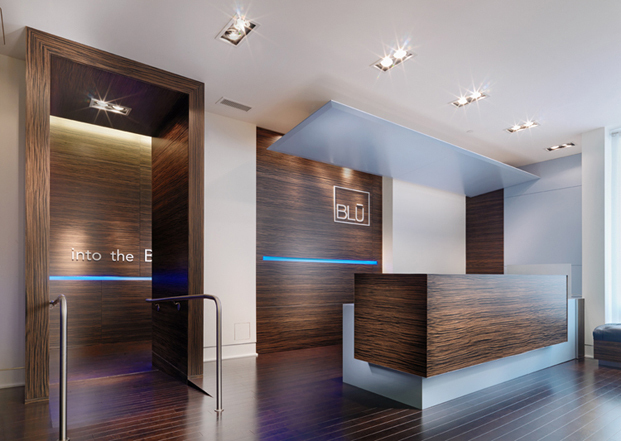 Given the Northern European architectural aesthetic, we created the name “BLU”, reflecting all of the cutting edge qualities associated with blue, such as Blue Chip, Blue Ribbon, Blueblood, Bluetooth, and Bluray. 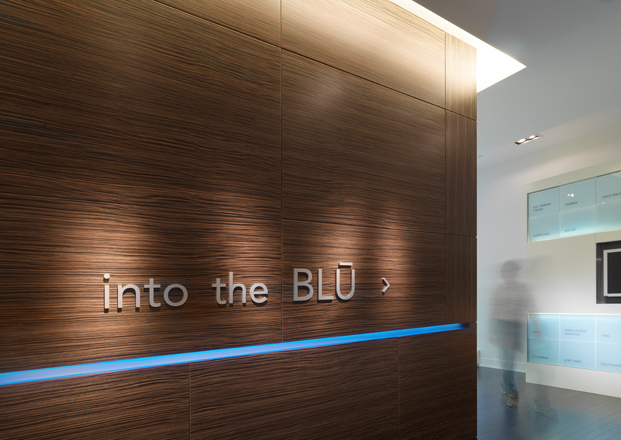 Our positioning included a sub-entity brand for the penthouse units, aptly named ‘SKY BLU’. 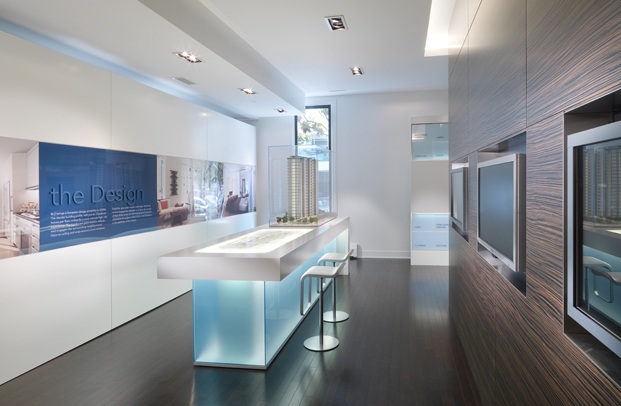 Naming was followed by development of brand identity, website, print collateral, advertising, signage and exhibit design. 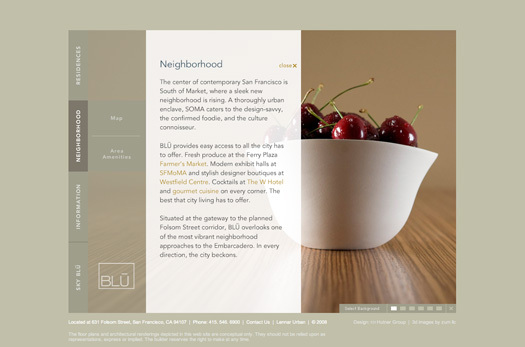 Our brand experience for BLU has won awards from PRINT Magazine and HOW Magazine.